The recent release of DreamWorks Animation’s “How To Train Your Dragon 2” trailer thrilled fans worldwide as the faithful dragon Toothless and his best friend Hiccup soared on air once again. At the tail of the success of the first movie, Toothless and Hiccup are back for bigger adventures, laughs and battles as additional voice cast were revealed in this year’s Comic-Con event. From the phenomenal series “Game of Thrones,” Kit Harrington voices an amusing dragon-trapper named Eret whom he describes as very cocky and brazen; Cate Blanchett who’s known for her role in “The Lord of the Rings” franchise also joins the cast as Valka, a savior of dragons while Djimon Hounsou (“Blood Diamond”) is cast as the voice of Drago Bludvist who chases dragons for personal vendetta. 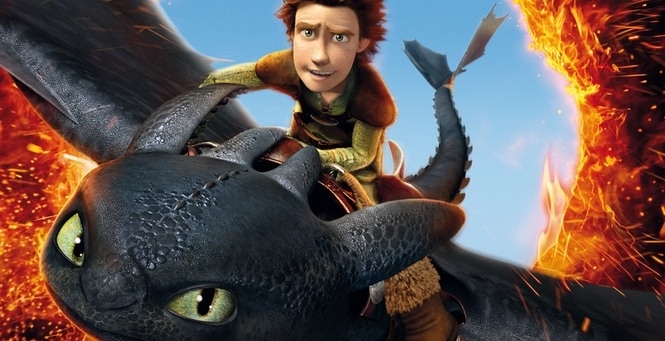 Directed by Dean Deblois, “How To Train Your Dragon” soars five years after best friends Hiccup (voiced by Jay Baruchel) and Toothless united dragons and Vikings on the island of Berk. DeBlois shared that the film starts where the first one left off – the Vikings are now on the backs of the dragons with the entire world in front of them. When one of their adventures leads to the discovery of a secret ice cave that is home to hundreds of new wild dragons and the mysterious Dragon Rider, the two friends find themselves at the center of a battle to protect the peace. Now, Hiccup and Toothless must unite to stand up for what they believe while recognizing that only together do they have the power to change the future of both men and dragons. Landing June 2014 in theaters, “How To Train Your Dragon 2” is a DreamWorks Animation and 20th Century Fox presentation to be distributed by Warner Bros. (Phils. ).